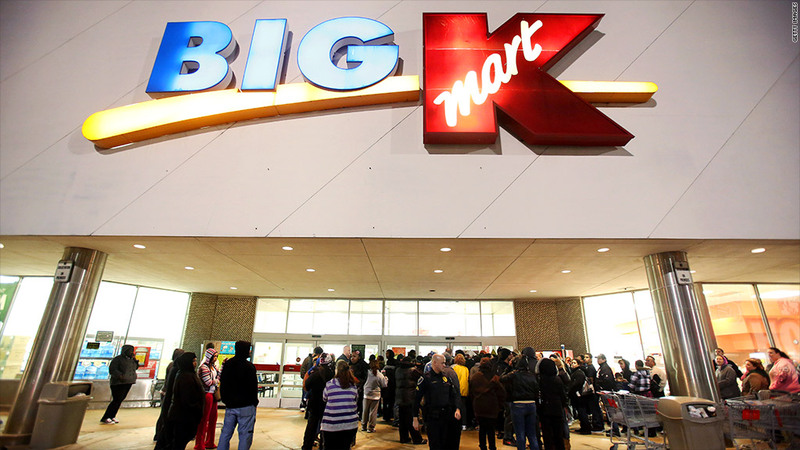 Kmart is not closing its doors at all for Thanksgiving this year. Forget Turkey. This Thanksgiving, you can shop at Kmart for 41 hours straight -- starting at 6 a.m. on Thanksgiving Day until 11 p.m. on Black Friday. It appears to be the earliest opening yet of any retail store for Black Friday shopping. Black Friday, usually the day after Thanksgiving, is considered the unofficial start of the holiday shopping season. On that day, retail stores offer deep discounts to lure in customers. In recent years, Black Friday has slowly been encroaching on the traditional Thursday Thanksgiving dinner. While stores once waited until midnight on Black Friday to open their doors, many are now opening earlier in the evening on Thanksgiving Day -- a move that has prompted outrage from customers who don't want their feasts and celebrations interrupted. Kmart has opened at 6 a.m. on Thanksgiving Day for the past three years, but this is the first time it isn't closing its doors at all. Last year, the store closed for a few hours at 4 p.m., presumably to let shoppers and employees eat Thanksgiving dinner. The retailer re-opened its doors again for deal hunters at 8 p.m.
Parent company Sears (SHLD) said Monday it will wait a little longer, and open its doors at 8pm on Thanksgiving Day, which falls on Nov. 28 this year. That's also the same time Macy's (M) is opening, in order to give families time to finish their meals before hitting the aisles.